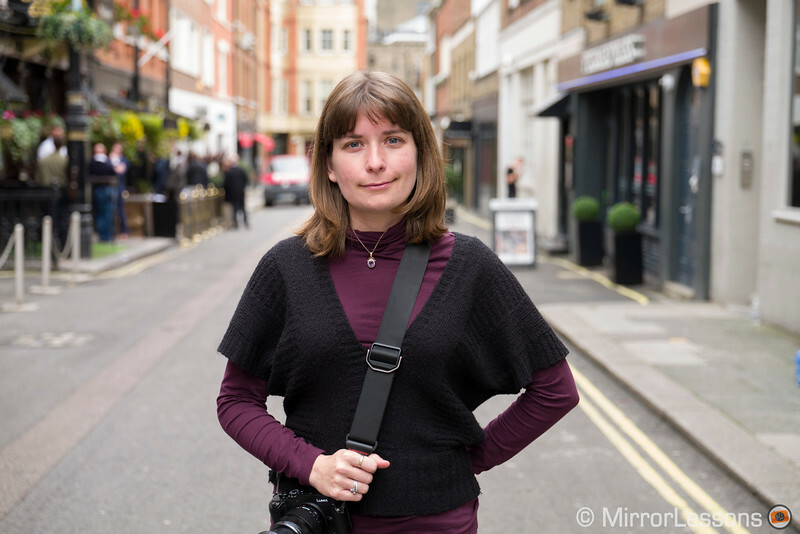 Two days after the announcement, Heather and I had the chance to see the new Leica SL in London. There is still a lot of talk surrounding this camera, as well as many questions related to its dimensions, price and real target user. As with every press event, one hour was not enough to arrive at a definitive conclusion. However, the title of this article already gives you a big hint as to where my impressions are headed. What is important to understand is that first of all the SL fills the gap between Leica’s T system (APS-C) and S system (medium format). It can also stand alongside the M rangefinder cameras not so much as an alternative but as a complement. It has been designed for Leica users and aficionados above all. Then we can consider the main specs that you might have already read: it’s mirrorless, it’s full frame and it’s been designed for professional photographers. Leica actually calls it the “first professional mirrorless camera.” All this sounds pretty exciting until we see the price, the purest reminder that this system is not for everyone. So the real question is: how can this new system fit into the existing mirrorless market, where every camera brand is now involved to some degree? Click to open the high res version. You can find a summary of our hands-on with the camera in the video below. The Leica SL weighs around 850g which puts it on the same level as cameras such as the Nikon D750 (840g). Concerning the dimensions, the only major difference is simply that by lacking the flipping mirror, the Leica body is slimmer, so you lose the extra bulkiness DSLRs have. Put it side-by-side with the mirrorless Sony A7r II and the latter definitely seems smaller and it also weighs less (625g). But how does the SL feel in hand? I would be lying to you if I said it didn’t feel good. The grip is large and comfortable to grab. The camera feels rock solid but that doesn’t come as a surprise. It is a Leica and we know that the German brand spares no expense. We get a full weather sealed body crafted from milled aluminium. The dials and buttons are excellent. Like the M and the Q, the SL feels like a true Leica. 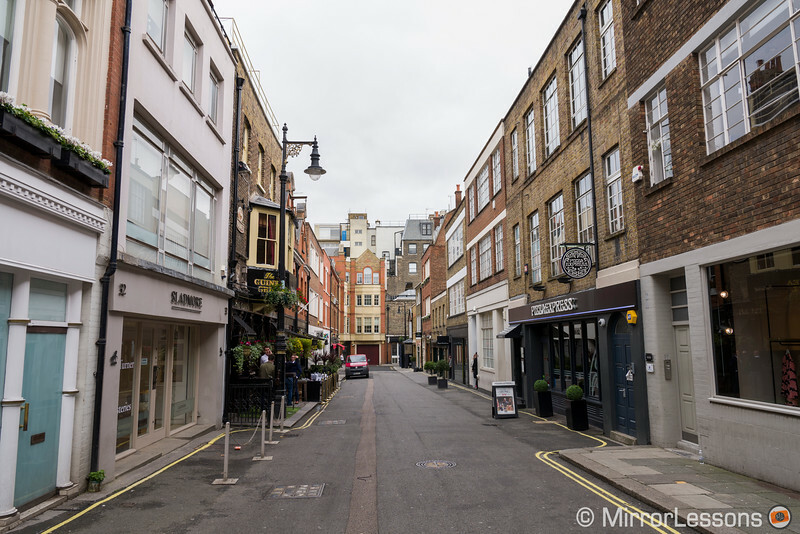 More than the dimensions, I would say that, unlike other mirrorless systems, it is the weight that doesn’t offer any significant advantage over a DSLR. 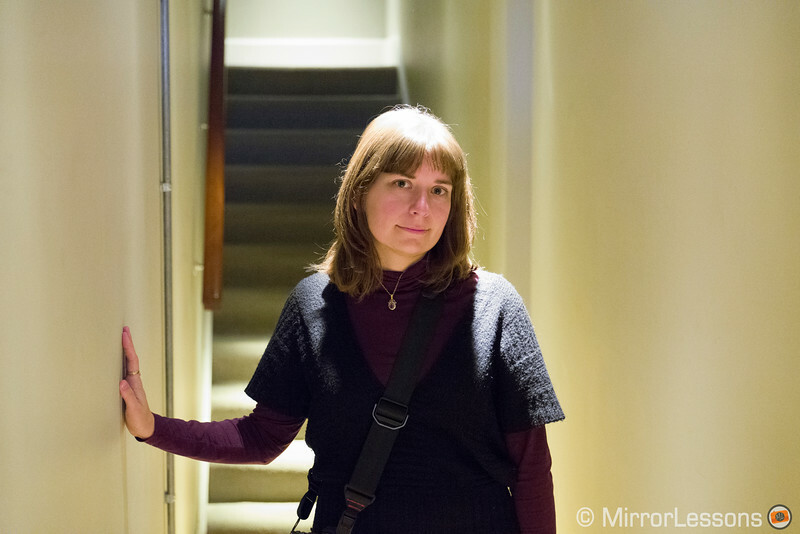 The weight and feel of a DSLR camera. As mirrorless photographers, we are used to having lots of buttons and dials confined to small areas on the camera body, so when you first see the abundance of space between the various buttons on the SL, it almost looks like a waste. Why not add a few extra? Well, it’s because Leica has a different idea about the button layout of its cameras. What surprises you from the start is the lack of any markings on or near the buttons. Unlike other cameras, you need to go through the user manual at least once to be sure not to miss anything. For example I didn’t realise at first that you have to press the rear dial to switch from one shooting mode to the other (PSAM). There is also a Fn button on the front and two silver buttons on top (video mode and video recording). The button layout is very simple but with no markings. 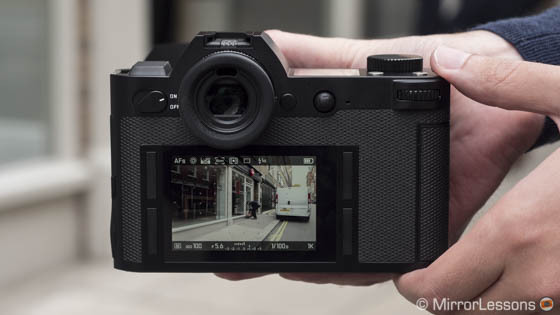 The rear of the camera tells us how much it has been inspired by its big brother, the S type. There are four rectangular buttons around the LCD screen and each one will activate different functionalities. If you press once they will display different options and the main menu. If you click and hold you can bring up some specific settings that can be customised. I have to say that while this button layout was confusing at first, I don’t dislike the concept. If the SL were to become my workhorse, I could see myself learning to use everything at a glance just by getting used to the position of the buttons. That’s why having lots of space between them becomes essential. At the same time, I can’t stop thinking that a complete lack of markings is more a design choice than a real benefit to the user. One thing I do like very much is the AF Pad that allows you to change the focus point instantly. It is very similar to the one you find on DSLRs. The viewfinder is definitely one of the main strengths of the SL: it didn’t impress me for its resolution or refresh rate (60fps like the X-T1) but for its size (0.66”). It is really large and comfortable to use, which is in part thanks to the rounded eye cap. The LCD screen on the rear is touch sensitive and allows you to perform the same operations available on the Leica Q: change the focus point, take a shot and play back the images. On top there is another clue that tells us this camera is professionally orientated and that is the LCD panel. It too has some interesting functionalities. In addition to showing you the main settings and shooting mode selected, in manual focus for example it will display the distance scale when you half-press the shutter release button. The top LCD panel can also show you the distance scale. Then there is the dual SD card slot. Some might be indifferent to this but I can assure you that I’ve heard professional photographers lamenting the lack of such an option on other mirrorless system time and time again. I also know that it is one of the reasons some of them hesitate to switch to a CSC. Personally I’ve only ever used cameras with one slot for work and never had a single issue. Many other photographers will tell you the same. 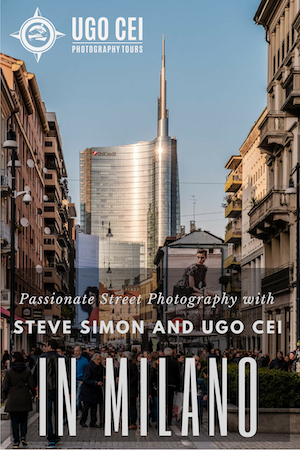 With the SL you can do pretty much what you can do on high-end DSLRs. You can use the second slot to back up what’s being recorded on the first card or decide to save the JPGs on one and the DNG (Raw) files on the other. You can use the second card to keep shooting when the first one is full. The latter is very useful for video. 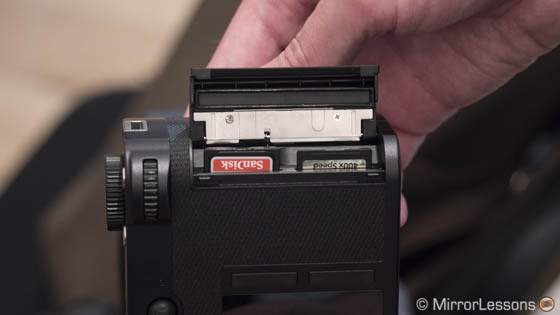 Dual Slot for SD card, a feature that some pro photographers will definitely appreciate. The battery is large and very similar to DSLR batteries in size but I am not sure about the life span. The official specs state 400 shots with a single charge but Leica confirmed that it doesn’t count extensive use of Wifi, GPS, 4K video or continuous shooting. So spare batteries will be needed and they aren’t coming cheap! 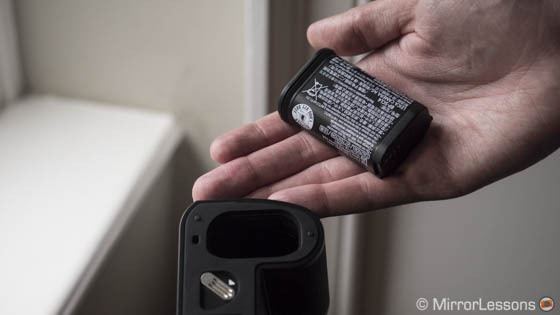 The battery with last for 400 shots but without counting Wifi, GPS or 4k recording. The Leica SL has pretty much the same sensor as the Leica Q (you can check out our review here). However it has received some tweaks to enhance the performance slightly. The most noticeable is the base ISO that starts from 50 instead of 100. I had the chance to take a few shots but I won’t go into too much detail about it for now. I love the image quality from the Q although I found some banding issues when I pushed the Raw file and at high ISOs. Personally I don’t expect a huge improvement in comparison to the Leica Q. Along with the camera I also had the chance to test the new 24-90mm f/2.8-4. This lens is definitely “guilty” of making the camera look bigger than it actually is but the combo definitely gives you the feeling of holding a DSLR. 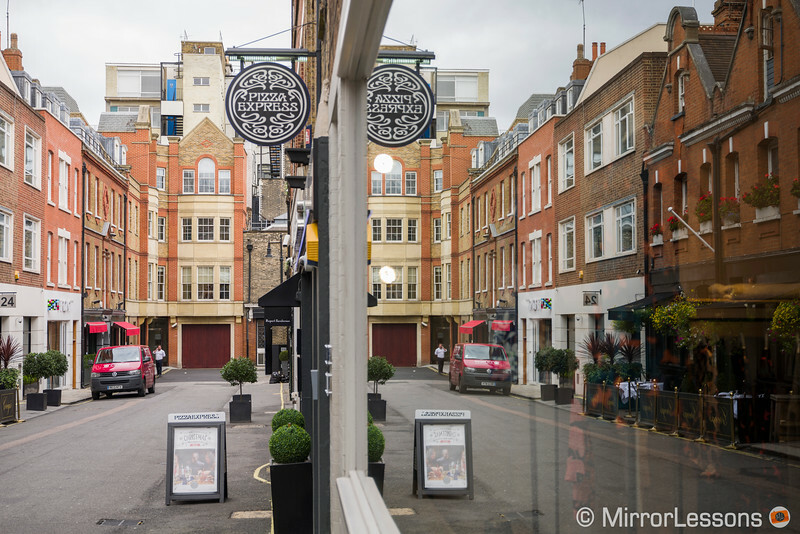 The lens offers an interesting focal range but given its size I wonder why Leica didn’t go with a constant f/2.8 aperture (perhaps by cutting down a few millimetres at the telephoto end). 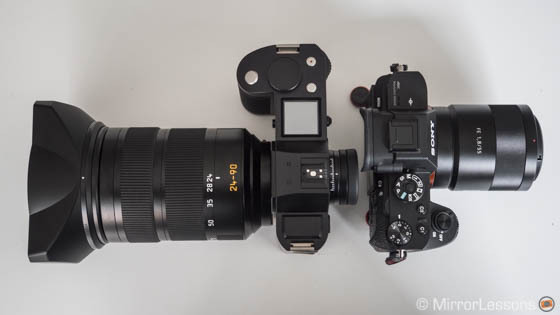 The internal focus mechanism and high quality optical performance seem to be weak arguments to justify the very high price of this “kit lens” (more than $4000). 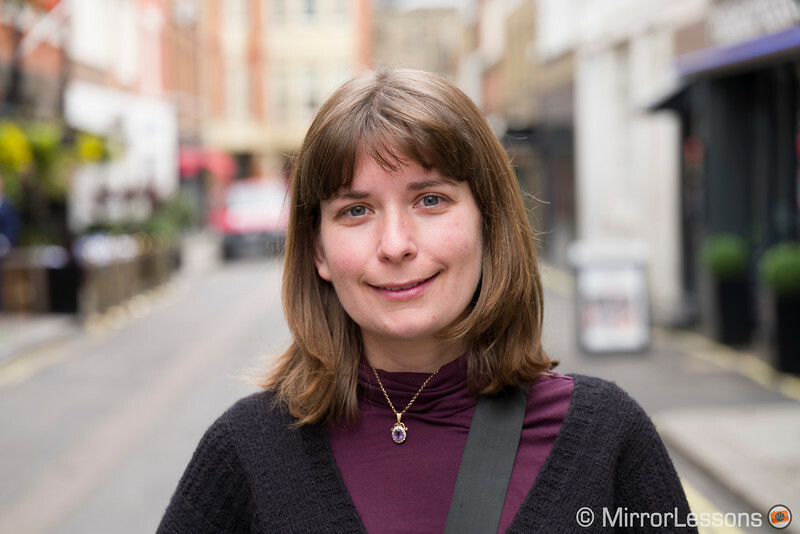 It is definitely very sharp and I am sure the optical quality is high but if you look at the environmental portraits of Heather below, the bokeh doesn’t impress me, for example. Unfortunately the other new lenses weren’t there. The second zoom, the 90-280mm f/2.8-4, will be available in the first quarter of 2016. 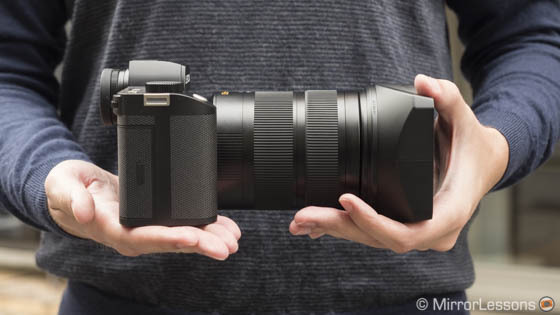 Judging by the official photos, it really looks big and heavy and again it is not an f/2.8 constant even if it offers another set of very interesting focal lengths. The 50mm f/1.4 Summilux will be available at the end of 2016. These new lenses all offer optical stabilisation. There isn’t any additional information about future lenses for now. The SL shares the same mount as the Leica T but it has been renamed the L-mount. This means that the new full-frame lenses are called SL while the T lenses have become TL. 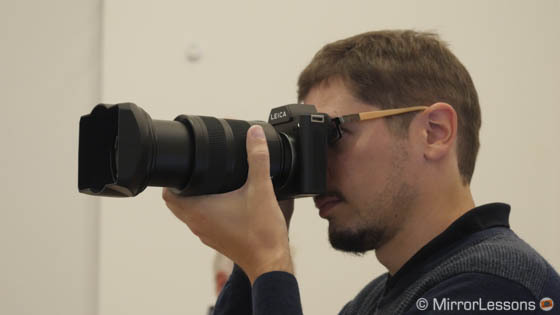 Leica demonstrated in the presentation that the camera can be used with the TL lenses (four are available already, two more to come next year) but the camera will automatically work in APS-C mode (10MP). 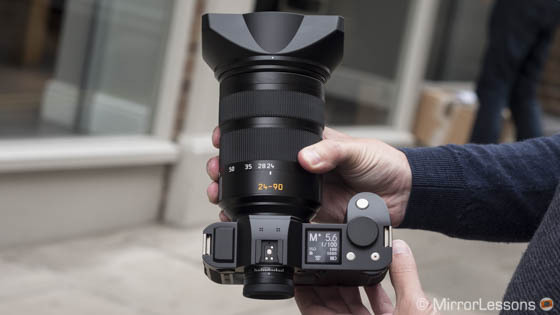 This is no different to how the Sony E-Mount works. I only see this option as being worthwhile for someone who already owns some TL lenses. 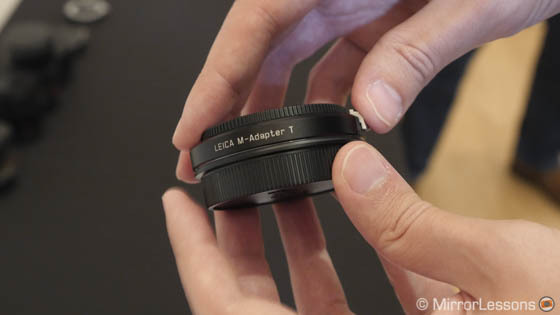 Leica will also release a set of adapters to allow the use of its manual focus lenses from the M series, the now discontinued R series and even their Cinema lenses. Note that the last group is very expensive and are usually rented for big Hollywood productions. But sure, why not, it is an extra option! For now I definitely see the M and R lenses as the best alternative for the lack of native lenses. In part it is because they can be found second-hand but it is mainly because manual focusing with that EVF should be a real pleasure (peaking and magnification are also available). Plus, I bet that people interested in buying this camera likely own some M or R lenses already. Now if there is one thing that didn’t impressed me about the new Leica SL, it is the autofocus. Leica claims it is the world’s fastest, something we’ve all read from other brands as well. (Namely one beginning with F). Okay, so it’s marketing and we are all used to it but how does it actually perform? Well let’s start by saying that this is very likely (it is) the DfD system that Panasonic uses on its newest Lumix cameras. The same AF points, the same contrast detection type AF, and I would say the same behaviour. 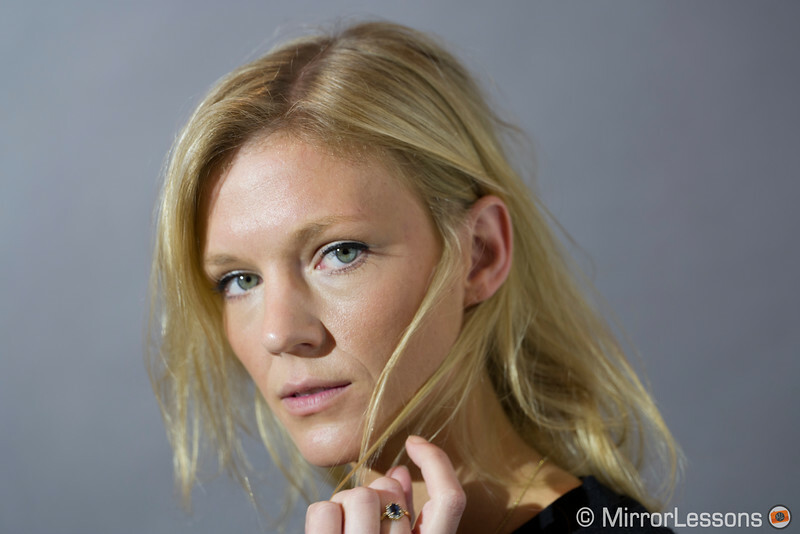 Overall the AF locks fast enough but a few times I had out-of-focus results even in good light, such as for example the model below. In worse light, it failed to lock a few times when switching quickly from one person to the another. With Heather I did a quick continuous shooting test and here again I was expecting better results. I definitely need to test this in various conditions but as a first impression of the “world’s fastest” AF, I have to say I am not impressed. An example of misfocused shot and it isn’t the only one I got. When it comes to video, the SL is definitely the first serious camera from Leica in this department. We get 4K format up to 30fps and Full HD at 120fps for slow motion footage. There is zebra, audio monitoring and S-Log V gamma to record a flat image and it works at low ISOs as well. The latter is actually very interesting because combined with the full size HDMI output that is 10 bit 4:2:2 (like the Panasonic GH4), there is definitely the potential to record very nice footage with this camera and have lots of colour grade versatility. Below you can watch a very short video giving you an idea about the 4k capabilities with the V-Log L gamma. 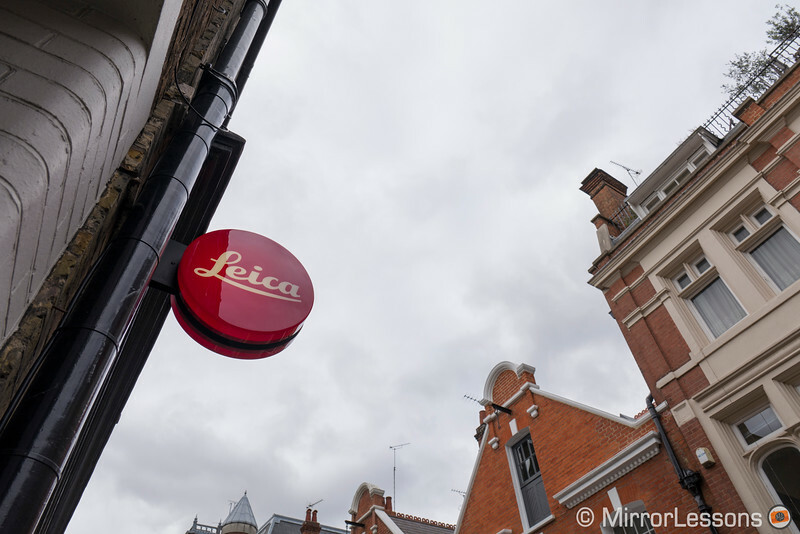 Conclusion: a new Leica camera for Leica users? Everything else I have to say will have to wait for the full review. The last thing I can talk about is of course the price. Now we know that when it comes to Leica cameras, things just aren’t cheap. The brand wants to stick to its own standards of quality and doesn’t aim to sell to the masses. The problem is that I’m personally starting to see some discrepancies in Leica’s strategy. 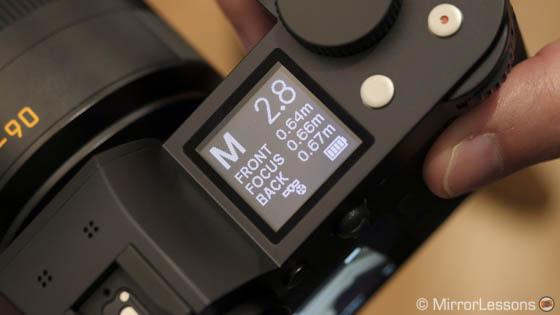 The M series is not just a camera but a symbol, designed and built with very precise and high quality criteria. It provides a different user experience. Whether you embrace it or just ignore it, the system still has a place in today’s photography world in my opinion. Leica is also one of the only brand that still fully supports film in the sense that it still produces film cameras, and therefore pays tribute to the past. The S system is medium format so it is situated in a market where there is less competition, and the APS-C series (X and T) cost too much for what they offer, although there are aspects of the Leica T I really like. If that camera had been released a few years earlier, I’m sure it could have had more success but unfortunately it came out when there were already plenty of offerings from other brands in the APS-C sector. Then this year they came out with the Leica Q, a beacon of “hope” that the brand was changing direction. It is a great camera with great performance, with a high price, yes, but definitely more accessible and worth its weight in gold. That’s probably why Leica is having trouble keeping up with the demand for the Q right now. Where does the Leica SL stand then? Well, not to sound like a broken record, but the problem is once again the price. It puts the camera on a different level than other brands such as Sony in the mirrorless segment and Nikon/Canon in the DSLR segment. Don’t get me wrong, I wasn’t expecting something cheap but I was hoping for something a little more competitive. The SL costs double a D810 or A7r II. The same goes for the lenses. It simply appears to me that Leica doesn’t want to compete and that is where I find the discrepancy. 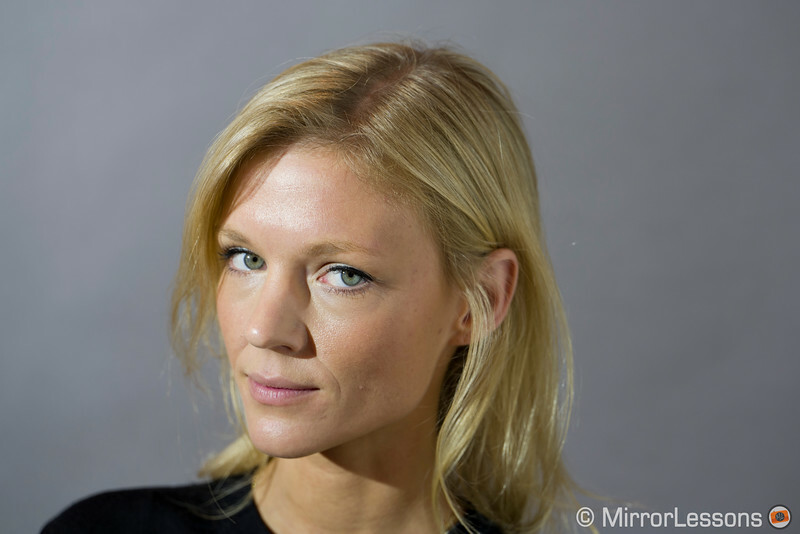 Why organise an event in Germany with hundreds of guests, introduce a camera that claims to be the first professional mirrorless with the world’s fast autofocus, just to aim at its own market? Why not challenge the other companies for real? The truth is that the SL doesn’t seem to offer outstanding and game changing performance. Right now the EVF is the best on the market but that will only last until the next brand releases a new camera with even better EVF specs. The sensor is excellent but doesn’t beat other cameras like the A7r II or the D810. The AF is good but in the end it is what Panasonic started to put in its cameras two years ago and it is still in need of some improvement. The 4K capabilities are nice but again many others already have it. So what is left then? Okay, it’s the first mirrorless camera with a dual SD card slot but that isn’t exactly slogan material. The problem with talking about price is that I generally don’t like to just sum up a camera by saying “it’s too expensive”. With the other Leica cameras (especially the M series) the price is somewhat understandable but here I struggle more. All in all, the Leica SL seems to be a very good camera and I am sure it can excel at different genres. Plus, being the start of a new system, I am more than willing to give it time to prove itself. But if Leica doesn’t plan to challenge the competition and simply sees the SL as an alternative for M users who wish to drop their current DSLR and use the same brand for all their work, I am going to need some motivation. On a closing note, I’d like to leave you with a quote (non-verbatim) from the official Leica presentation: “I know that many people were waiting for an interchangeable Q camera, but we created the SL instead.” I think this synthesises what I’ve been trying to say throughout the article: that Leica doesn’t want to compete outside its own niche but rather, it wants to complete it. 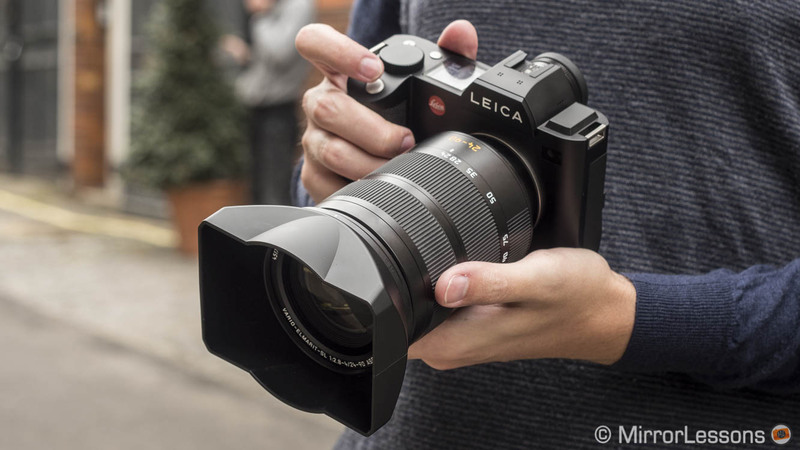 What are your thoughts about the Leica SL after reading this hands-on review? We welcome your thoughts!